In my coaching practice of over 25 years, there are several patterns that I notice in people who are in the middle of change in some aspect(s) of their lives. One pattern in particular involves that untethered place known as the abyss. Part of the process of being in change is leaving the comfort of what we know (good or bad) and falling into the in-between or the unknown. This can feel like a scary place because we feel lost and ungrounded. I often observe clients embracing the scary and go into that famous fight or flight response. Through the work of coaching and increasing self-awareness, clients begin to make a different choice. They choose to open the door of opportunity upon which they are knocking. Change is a way of inviting us all to tap on the threshold of possibility. Embrace that. Change is a gift and an invitation to discover more about who we are. 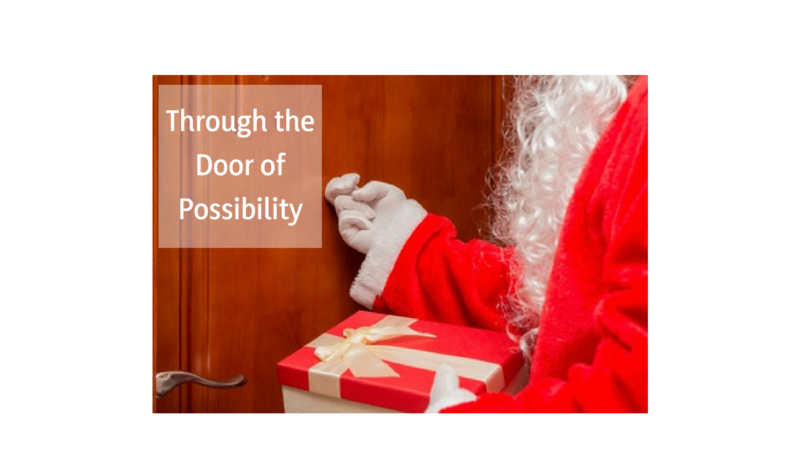 Open this opportunity with the same curiosity and wonder that you approached the holidays as a child. Where are you feeling untethered? Embrace the valley. Move through it with support and grace and eyes wide open. You will come out on the other side with more of who you are.